I have recently discovered Memorie di Angelina, a blog inspired by the home cooking of Frank Fariello’s Italian grandmother, Angelina. 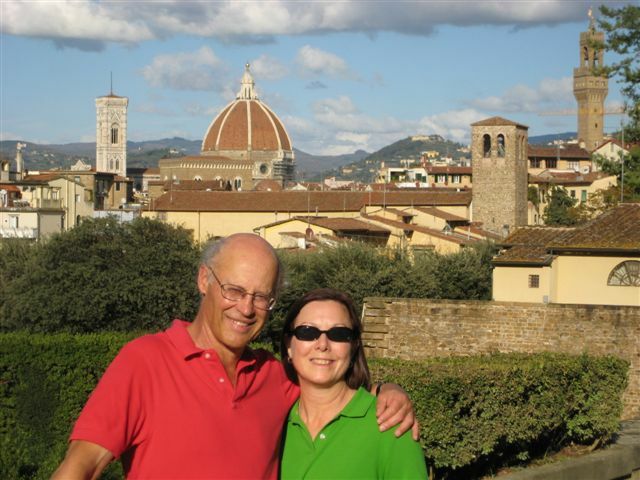 I love reading his posts; he gives real insight into Italian home cooking. 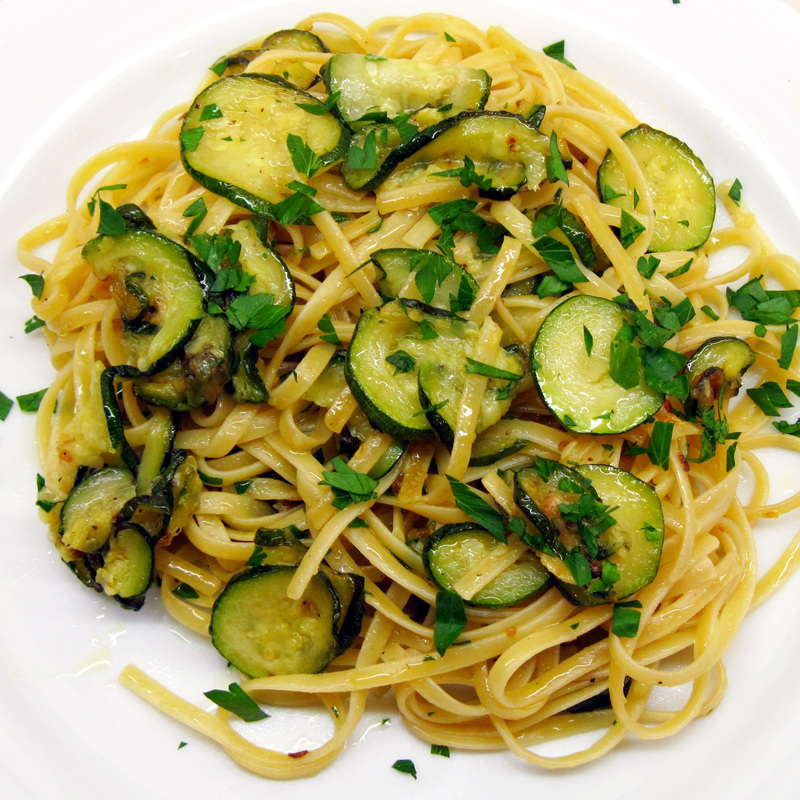 Frank recently posted a recipe for Spaghetti con le Zucchine. It sounded so good in its simplicity, I made a mental note: must try. Then Carrie mentioned to me that she had recently made pasta with zucchini, trying to recreate a dish that her Italian “house mom”, Filo, had made. Again, I thought I should try it. Zucchini popped up again on Tuesday in Smitten Kitchen. Deb made a Zucchini and Ricotta Galette. It is a thing of beauty and sounds delicious. Another must try! Last night I made Frank’s recipe with linguine instead of spaghetti. He eloquently writes his recipes without measurements which is appropriate because I’m sure Italian grandmothers do not measure. I included the measurements that I used last night for those who might appreciate them, but consider them simply guidelines. This is a great recipe when you want something quick, easy, and satisfying; I’m sure I’ll be making it again. 2. Heat the olive oil in a large frying pan. 3. Crush the garlic into the olive oil, and stir for a minute or two. 4. 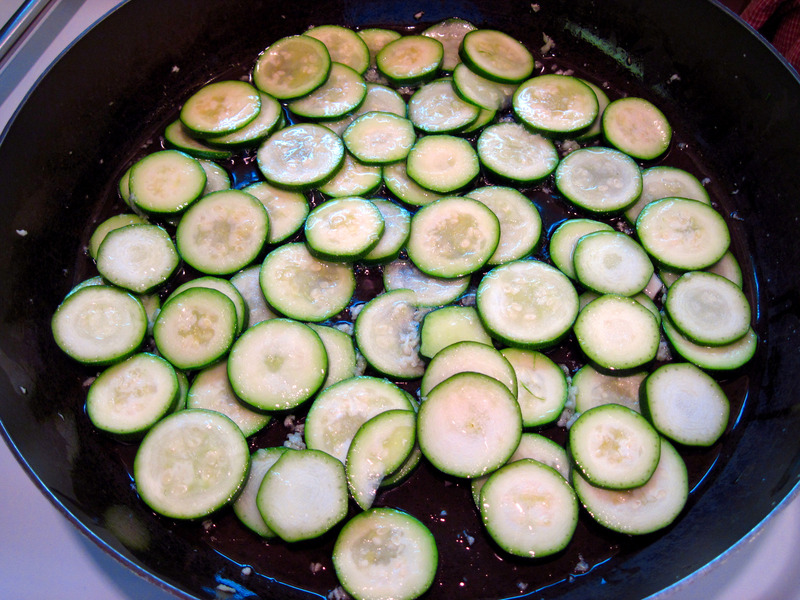 Add the zucchini, and stir so it’s evenly coated with the olive oil, and spread it out evenly in the pan. Let it cook for 8 – 10 minutes, stirring occasionally, until it’s done and starting to brown. 5. Season to taste with salt and pepper and add 1 tablespoon of the minced parsley. 7. When the pasta is done, reserve a bit of the water to use if your pasta seems to dry. (I found I didn’t need it.) Drain the pasta and add it to the zucchini. Stir it well and cook for about a minute more. 8. Serve, garnished with the other tablespoon of parsley. This looks beautiful. This is another “must try” for me. this looks amazing! I am a “gluten-free” eater, but will definitely be making this with my GF pasta! Please, let me know how it turns out! Hope you like it! Abraham, your Courgette Masala looks delicious. I’ll have to keep that in mind, especially if I have a successful crop of zucchini! Doesn’t this look good! Glad you liked the recipe and many thanks for the kind words! Thank you, Frank! I know I’ll be trying many more of your recipes.